The Signal Digital Night Vision Monocular series is the latest addition to the Sightmark catalogue, serving up nighttime and daytime capabilities. The Signal series replaces the company’s popular Ranger Digital Monocular line, offering hunters more enhanced features. Boasting two different models — the 320RT 4.5×30 and 340RT 4.5×30 — the Signal monoculars deliver an all-new high sensitivity 640×480 CMOS sensor paired with a high-resolution 640×480 LCD display for better low-light and nigh time performance in field. Equipped with a 940nm IR illuminator, the 340RT model produces no glow and is basically invisible to neighboring wildlife. The 320RT model, on the other hand, sports a 850nm IR illuminator granting 50 more yards of detection than the 340RT model; however the 320RT is quite as invisible as the 340RT. 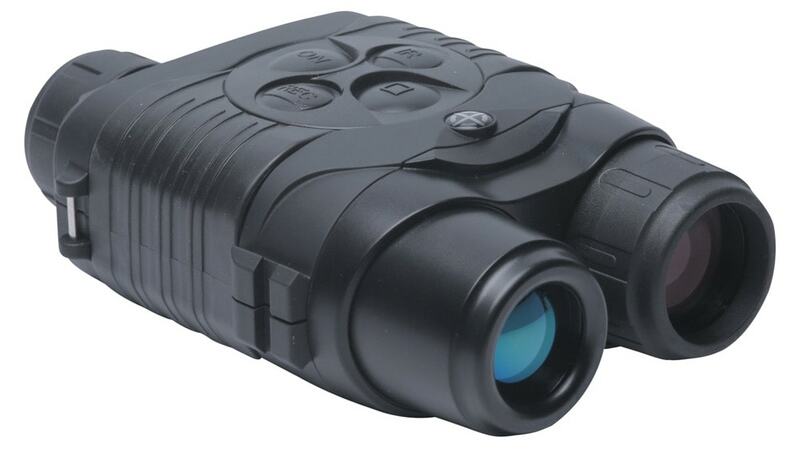 The Signal series features a digital 2x zoom, with up to 9x magnification. Both models house built-in video recording with sound, so hunters can save images and video to show off or upload to their favorite social media site. The Signal series also touts the ability to stream directly to a smart phone or tablet, allowing for remote viewing via Sightmark’s Stream Vision app. The Signal DNV Monoculars ship with a carrying case, user manual, USB cable, neck strap and lens cloth with the 320RT priced at $479 and the 340RT coming in at $539.